I love that Homer is impressed. Like living between two bowling alleys is something to aspire to in life, and it’s actually better than what he has now. 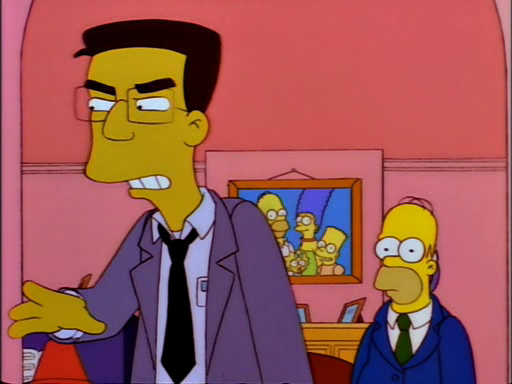 Remember when ZS introduced Frank Grimes Jr. and it was still sad when ZS auto-cannibalizes? 3 Peter Griffin, how ya' doin'? Errr, construction by-laws usually don’t allow the latter. I don’t get it. My head what? Why do you think I’m stupid? This is very insulting. All people called Stan are stupid. Dude, give it up. The real Stam hasn’t even come on for a while, so the joke isn’t funny. He needs to react or you make no sense.